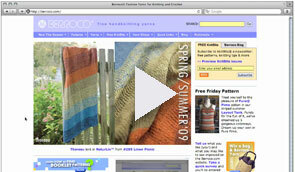 Make the most of your visit to Berroco.com. Look over the shoulders of Norah and Cirilia as they take you through specific techniques, step-by-step. Locate pages quickly and easily on Berroco.com with our handy search feature. 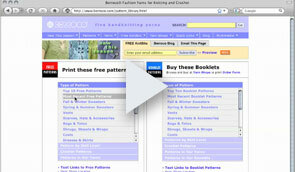 Learn the fastest and easiest way to locate the kind of free pattern you're seeking. Locate the perfect pattern from one of our published booklets. Everyone makes mistakes. Discover the easiest way to find out how we've corrected ours.